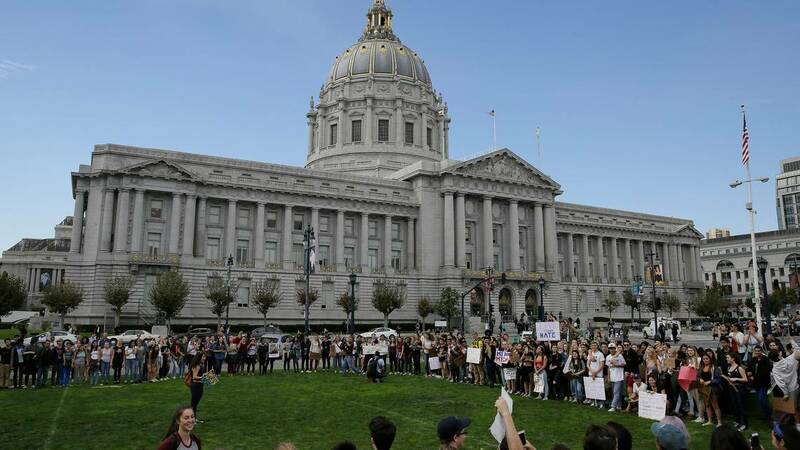 High school students gather to protest in opposition of Donald Trump's presidential election victory outside of City Hall in San Francisco in November 2016. A ballot measure passed in the same election allowing non-citizens to register to vote in school board elections went into effect Monday. Eric Risberg The Associated Press file. “The reason I voted against it is that I think the right to vote is something that goes along with citizenship and should be,” Dhillon told KGO. The deadline to register to vote in San Francisco is Oct. 22 for the Nov. 6 election, according to the California Secretary of State’s Office.